Limited transparent orange vinyl LP pressing in gatefold jacket. 2018 release. 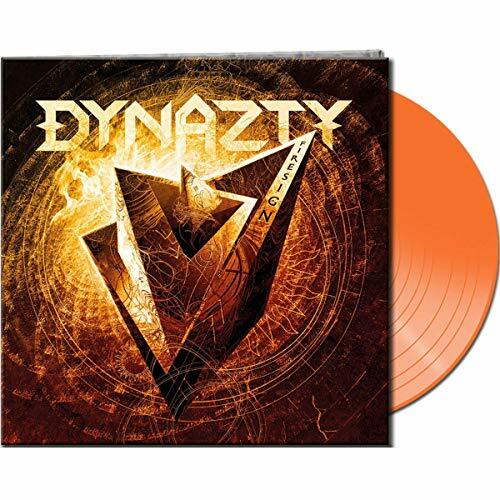 Sweden's modern, melodic metal outfit Dynazty return with their strongest effort so far. Firesign is the bands most creative, dynamic and inspired album yet. The Swedes add a pinch of hardness, but also have innovative influences and don´t lose sight to their catchy melodies. After "Titanic Mass", which is a chunk of an album and is produced by Peter Tägtgren (Hypocrisy, Pain), therefore the successor Firesign is the only logical step in the evolution of Dynatzy, if the next goal is entering the Rockthrone.